If you came here looking for lettuce, there is none. Sorry to disappoint. The content of this blog remains the copyright of Chris Tye. If you want to publish it, copy it or use any of it, just ask first - sharing it on social media using the buttons on this site is fine, though. I usually credit any images I use - if you've spotted something you're not happy with let me know. All views are my own. Yum. Liquorice Allsorts. Gimme some! I’m currently on a mission to cut sugar. Completely. Nearly 2 weeks in, and I’m having mixed success. Why, you may ask? Well, a couple of weeks ago on BBC TV there was a documentary on Sugar. To be fair, it said nothing new. In short, everything has too much sugar in it, it’s bad for you, and you should cut down. Fairly common logic, really. Particularly as I’d just driven home from work, and eaten a full bag of fruit pastilles, followed by a full bag of jelly beans. Big bags. And, I had no ill effects after this. Obvious, then, that I’m heading for an appointment with Mr. Diabetes at some stage in the future. Life might not be a barrel of fun at the minute, but that doesn’t mean I want to make myself ill. So something has to be done. So far, then, I’ve managed to cut sugar from my tea. It tastes disgusting, but I’m hoping I’ll get used to it. I’m also reading packets when we go shopping – my favourite Friday night treat, sweet and sour rice ready meal, is actually over 50% sugar, so it’s gone. But most telling is the almost entire eradication of sweets from my life. 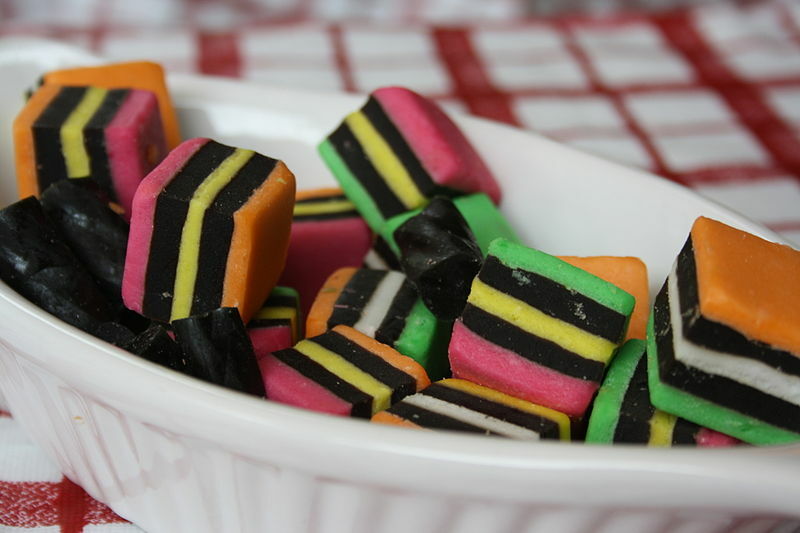 I’ve lapsed twice; I have a spot for liquorice allsorts. Can’t help it. But rather than a bag a day – yes, I was eating that many – I’ve had two bags in a fortnight. So I’m doing OK. However, there are two notable things. One, I don’t feel any better. In fact I feel a ton worse. I’m grumpier, more irritated and generally a thousand times more miserable than two weeks ago. And two, I’m still craving sweets. Right now, I’m desperate for a Mars bar. After two weeks! It’s hard work. I am, however, saving a ton of money, which is a good thing because I haven’t got very much to spare. This is additional incentive to stick at it. I’ll keep you informed how it’s going. Watch this space! This entry was posted in food and tagged health, sugar, sweets. Bookmark the permalink. How’s the sugar reduction going? I binned having it in my tea a year ago after a lifetime and took couple weeks to get used to it but now prefer to have tea without sugar. Bloody terrible, to be honest. Only have one in my tea, but I still have an adiction to Licorice Allsorts. Happy with the new website!